We know that turning garbage and yard waste into nutrient-rich garden soil is possible, but we’re not exactly sure how to do it. If you’re in the same boat then the free Dig Into Composting seminar from the Solana Center For Environmental Innovation might be just what we’re all looking for. Solana Center workshops will teach you all you need to know to make terrific compost at home. Compost experts will discuss the methods and benefits of composting and vermicomposting (composting with worms). Reduce your environmental footprint and improve the productivity of your soil. The free seminar will be held on May 18, 2013 at the Calavera Hills Community Center from 10 AM to 12 PM. Click here to register. 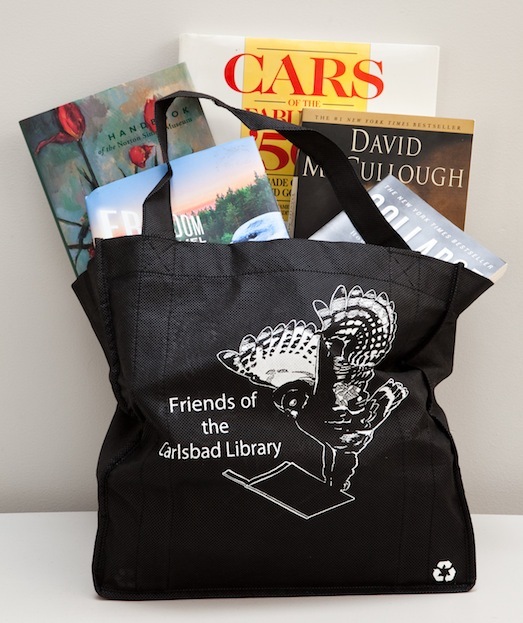 The Community Center is located at 2997 Glasgow Dr, in Carlsbad, California. For more details, click the link. 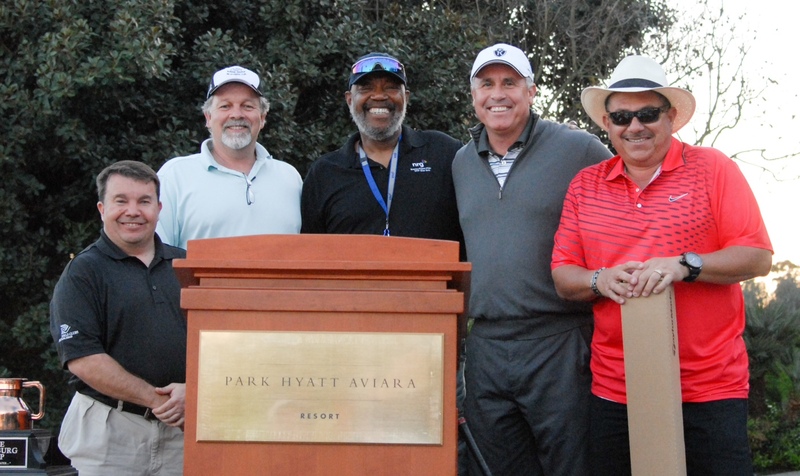 Pictured: Steering Chair Randy Ferren, winning foursome members Mike Pottorff, Jonas Jackson, Club CEO Brad Holland, and winner David Flores (winner Scott McCary not shown). The Boys and Girls Clubs of Carlsbad raised over $135,000 during their annual golf tournament held April 18, 2013 at Aviara Golf Club. For the official word from the Boys and Girls Clubs of Carlsbad, follow the jump. We haven’t been out to check it out in a while, but once they start pouring the walls things go pretty fast. Meaning, it could be a great skate summer at Alga Norte, finally. Seems like it’s taken forever, doesn’t it? On Sunday morning (April 21, 2013) at approximately 7:40 AM cyclist Eric Ringdahl, 45, was stuck and killed by an as-yet-unnamed driver while riding his bicycle in the bike lane rolling north on El Camino Real north of La Costa Avenue, according to a story in UTC San Diego. The bicyclist was struck by a northbound vehicle while headed north in the bike lane on El Camino Real north of La Costa with a fellow rider, according to the Carlsbad Police Department. Several people called 911 at about 7:40 a.m. to report the crash, police said. . . The bicyclist who was struck sustained a head injury and was unconscious, police said. Police and fire personnel responded, but the bicyclist died at the scene. Ringdahl is survived by his wife and children. So far, it appears that no charges have been filed against the person driving the car, however, the Carlsbad police department is investigating and we sincerely hope that the driver is prosecuted to the fullest extent of the law. Our deepest thoughts and sympathies go to Ringdahl family and friends. 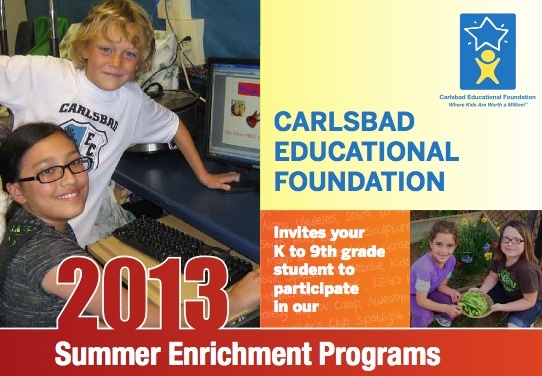 The Carlsbad Education Foundation’s 2013 Summer Enrichment Programs are now open for registration. The CEF is inviting kindergarten through 9th grade students to learn during the summer. Classes run June 24 through August 2, 2013 and offer classes on a large variety of topics from Web Animation and Video Game Design to Karate, Dinosaurs, and cooking. The programs are offered at Jefferson Elementary for the first half of the summer and at Pacific Rim Elementary for the second half. 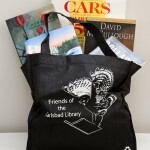 For all the details click here. A woman was struck and killed by an Amtrak train in the Carlsbad train station at 2:30 PM on Thursday, April 18, 2013, according to a story on NBC San Diego. Investigators from the San Diego Sheriff’s Rail Enforcement Unit say the woman had walked through the pedestrian gate on the west side of the train station into the oncoming path of the train. . . She was struck by the train and suffered fatal injuries. She was pronounced dead at the scene, according to deputies. This was the second pedestrian hit by an Amtrak train in a week. 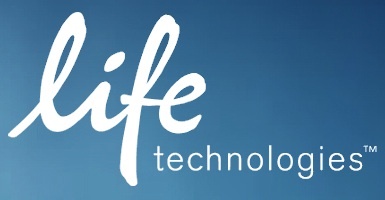 Carlsbadistan-based life sciences company Life Technologies Corp. announced (April 15, 2013) that it will be acquired by Thermo Fisher Scientific for close to $13.6 billion in cash, according to a story in the San Diego Business Journal. Nice work, Mr. Lucier. It was a great run. 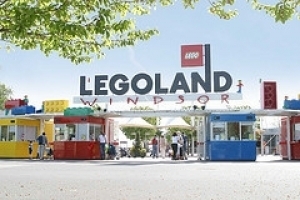 The Legoland Hotel in Windsor, England had to be evacuated on Saturday April 13, 2013 after a lifeguard at the pool noticed cracks in the pools “suspended ceiling,” according to a story in The Royal Borough Observer. The hotel was immediately evacuated while firefighters and Legoland’s maintenance team investigated the damage, with guests allowed back into the hotel at 6.30pm. . . Some of the panels fell into the pool after the area had been safely evacuated. Luckily, the pool at the Carlsbad Legoland Hotel doesn’t have such a ceiling. A 23-year-old man who was “allegedly drunk” was hit by an Amtrak train in the Village of Carlsbadistan early Monday morning (April 15, 2013) has survived with “only scrapes and bruises” according to a story on Fox 5 San Diego. “The man ignored the flashing lights and crossing arms at the tracks on Carlsbad Village Drive near State Street shortly after midnight,” sheriff’s Deputy D. Patterson said. . . The man was struck by a southbound train and thrown about 20 feet, Patterson said. He was taken to Scripps Memorial Hospital La Jolla for an evaluation. See what you can survived when you’re relaxed?